What is the value of continually learning? To find those one liners that light up my brain! Those that cause a connection, an "ah-ha" moment, an awakening, all of which equals a deeper and wider understanding of something I already knew. I've studied this stuff for a lot of years now, and it always still amazes me when something just leaps off the page at me, saying, "Hey Minion! This is important! Pay attention!" The quote above, did just that. It's just that our so-called human nature--or maybe it is our ego--seems to want to naturally focus on how to get what we want once we have decided what it is that we want. And, I know how Mike Dooley always says to "avoid the curs-ed how's!" Yet, it is a challenge to let go of how. We are trained to figure it out, to find a way, right? Letting go of the how part is so fraught with uncertainty, and requires trust and faith, which I know is a challenge from all my past training. But, I also have learned that even though I may gravitate to wanting to know how automatically, I should be reminded by the sign on my office wall that has been there many years now, "What is my job! How is God's job!" And then, in Esther Hick's book, Ask and It Is Given, from which the above quote came, says it all with only the title. Ask. And. It. Is. Given! Seems to me I've heard or read that from other sources too. Why did it leap off the page then? Because of this part of the quote: "defines the essence of the what you want." Why defines the what. I thought, of course! That's why the why is so important. I thought, of course! That's why the how is not important. It is because the why is what defines the what. 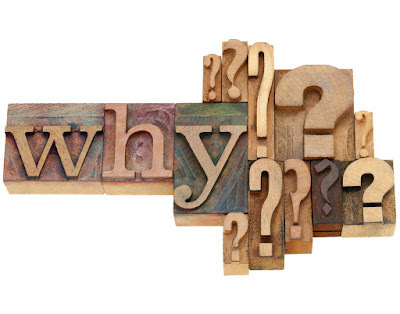 The how doesn't define the what, but the why does. I thought, Wow! Isn't that cool? Isn't that powerful? It's flat amazing! "Why you want something defines the essence of the what you want, and the Universe always delivers to you the vibrational essence of your desire. . . . So, when you think about why you want something, you usually soften resistance; but when you think about when it will come to you or how it will come or who will help it to come, you often add resistance, especially if you do not already know the answers to those questions." Of course, most of the time we haven't got a clue about the answers to the questions about when, how, or who, and that naturally causes concern, which is another word for resistance, and then it may even cause worry, which is much stronger resistance. BUT, when we focus on why we want something, that should release any and all resistance. Decide what we want and then simply focus on why we want it, which will cause us to imagine it being here already and how that will feel. Then the only thing left is to simply let go and let God. Why Do I Want This That I Want? Spread Some Joy Today--by realizing why joy feels so darn good, and then enjoying it some more. Simply appreciate something or someone.